I have just put this adorable little Deer Coat Peg Hook into my shop. I had best not tell Little Miss Chandelier as she has fallen in love with it, as have I.
I have just added these gorgeous Large 30cm high Letters to my Etsy shop today. I have been making rather a lot of these lately and have lots more different designs to photograph and then add to my shop, including lots more floral ones and the most adorable Vintage Style letters I have designed for children’s rooms with little wooden stars and bunnies added to them. I really can’t wait to share them with you but right now I definitely do not have enough hours in my day! Firstly, I have this Cotswolds Vintage and Handmade Fair I am frantically making stock for. I have only ever been as a customer in the past and have always spent lots of money on the genuinely fabulous stalls they have. It is predominantly Vintage with some Handmade stalls whose goods all have a Vintage style. I will of course be sharing that style with my handmade products, which is mostly my style anyway, and I will also have some Vintage pieces with me too. I will also take some Vintage Laura Ashley and Cath Kidston fabrics with me to sell, probably as fat quarters and will try to have some of the new Creative Kits ready to take that I am currently designing and creating. I am really looking forward to it and, as a shopper, I can’t recommend it highly enough – I just hope I get a chance to shop too! I am also running a few painting and distressing workshops right now and it is of course the wonderful Summer holidays and I am trying to prepare for a holiday. Added to that Prince Chandelier Ben, my 18 year old is, under my constant supervision, painting all the outside windows and doors on our cottage. He has actually been working for Mr Chandelier and I for several years and is doing an excellent job and I am just about managing to keep any teenage tantrums at bay (phew!). I am also doing numerous different house refurbishment jobs around the house, as is Mr Chandelier, and I am trying to help him as well as doing my own stuff, kind of running between the two of them, Princess Chandelier Charlotte and my Littlest Chandelier Ruby Blue, who are thankfully being as good as gold……..Hmmm…..so hope I haven’t spoken too soon……don’t read this out loud! Lots to share with you soon, including some fabulous makeovers, scrumptious new products and exciting new workshops coming up. For a very long time I have wanted to do a little batch of Vintage Wicker Shopping Baskets and line them with oilcloth. As you are probably aware, I have been creating since I was a very little girl and one of my first businesses as a teenager (yes, you did read that right, I did start very young) was making baby items. I used to make really beautiful broderie anglaise moses baskets with elaborate hoods and canopies and gorgeous trimmings and I even made tiny little quilts and fitted sheets. I also made little children’s rocking chair covers, teddy bear mobiles and nursery decor such as fabric balloon wall hangings from different coloured pastel fabrics, which I padded out and strung with ribbon and made them look like they were floating across the wall. Another product I made was a gift basket full of gifts such as socks and bibs and various other useful items which I would adorn with little bows and embellishments. The basket which they all came in was a gift in itself, as I used to line them with wadding and then broderie anglaise fabric and trimming as well. They would always be adorned with at least 1 bow and were meant to be used as Nursery storage for things like nappies. Much as I have come on an incredibly long journey with my creativity since then, I find it slightly amusing that all these years on, I am still making and selling fabric lined baskets which lots of my customers love. Nowadays, I paint and distress the baskets and use many other beautiful fabrics and my customers and I use them for all sorts of storage from papers to toiletries, from children’s toys to hair accessories, varied kitchen storage, books and magazines and also as picnic baskets where I have lined them with oilcloth, as the oilcloth can be wiped clean. In my own house, they are used for Doll’s Tea Sets, Bedroom Storage and Papers and I use my oilcloth lined Vintage Shopping Baskets for Ruby’s Lego and shopping locally in my village. I do love a basket and, as Mr Chandelier will confirm, I definitely do have far too many – with a rather large percentage of those hanging in abundance from my summerhouse ceiling. I also transform Vintage Picnic Hampers and Old Fishing Baskets but the few that I have had time to do have sold very quickly, so I there are very few photographs of them – these two being no exception. I sold the Taupe Roses Hamper to my hair colourist whilst having my hair done and telling her about them, she didn’t even see it and said she had to have it – how fab was that! Vintage Baskets waiting to be loved and used again. It did however, take me over a year to find and gather enough Vintage Shopping Baskets so that I could create a batch of 5. I did have one more, but unfortunately it was damaged, which I did not notice when I purchased it so that has been relegated to the garden and will be painted and filled with something, probably flowers – I will show you what I do with it when I finally get round to dealing with it! As they are shopping baskets, I had decided a long time ago before I started trying to find them, to line them with oilcloth so that they could be wiped clean which hugely increases what they can be used for. I knew they would be hard work and I was right – I really dislike sanding down but unfortunately the process I use means they need to be sanded 2 or 3 times. I also knew that working with the oilcloth was going to be grief and I was so right. It is an absolute nightmare to iron – which you have to keep doing – and an even bigger nightmare to line each basket and work with oilcloth, particularly when you need perfectly folded corners. I have lined hundreds of baskets with normal fabrics over the years so I don’t say that lightly. However, I never give up and I persevered with them and I am so delighted with how they have turned out. They all look so pretty in their soft colours, Shabby Chic paint and lovely oilcloths. The problem is, as always, I make them as if they were for my own home so of course, they look as if they belong with me and I never want to sell them! Hmmm…………I wonder how many will make it to my Etsy shop! Do you have lots of baskets in your home and what do you use yours for, I would love to know? An Easter Wreath for you! Shabby Chic Heart Wreaths – featured on another blog! Even though I have been creating and selling things I make since I was very young, it still makes me soooo happy when anyone loves and admires my work. As well as events, I sell so many things just as a result of people visiting my house, either from my children’s friends mummy’s or our friends and family and it secretly thrills me to visit their houses and see my items on their walls or sitting on the side. Shabby Chic Heart Wreath £12.00 – click to buy. Duck egg & white hydrangea heart wreath £38.00 – click to buy. She featured my Shabby Chic Hearts and this is the post here – go check out her really beautiful pictures, my favourite is the love birds! 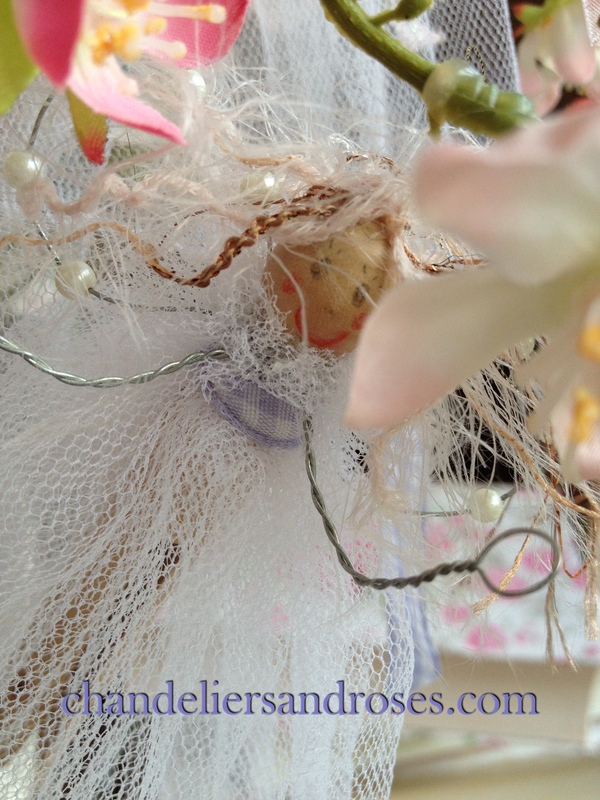 Go create some hearts – I am creating Easter Bunny things today – Love them so much – show you soon! Fairies – Make whatever you like! I received an order yesterday from one of my loveliest customers who really loves anything that I create. 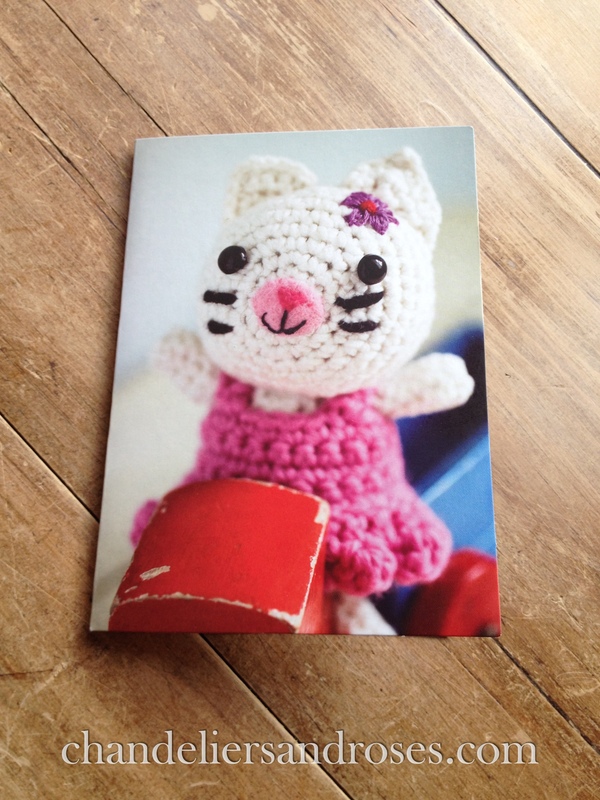 The best part about the order, was the fact that she gave me a budget and said “Make me something for my 3-year-old God-daughter”. I cannot begin to tell you what an absolutely special and lovely feeling that provokes – to be trusted completely and to know that whatever you make she will love – beautiful and exciting to know that I can stop whatever I am doing and make something special for someone who really appreciates it and even more wonderful to be paid for it! I put so much love into anything I create and this lovely lady both knows and appreciates that – she totally steps into my world and feels the magic as much as I do. I had a very tight deadline – 2 days – but I couldn’t wait to escape into my little world of magic and sparkle for just a while to see what I came up with. 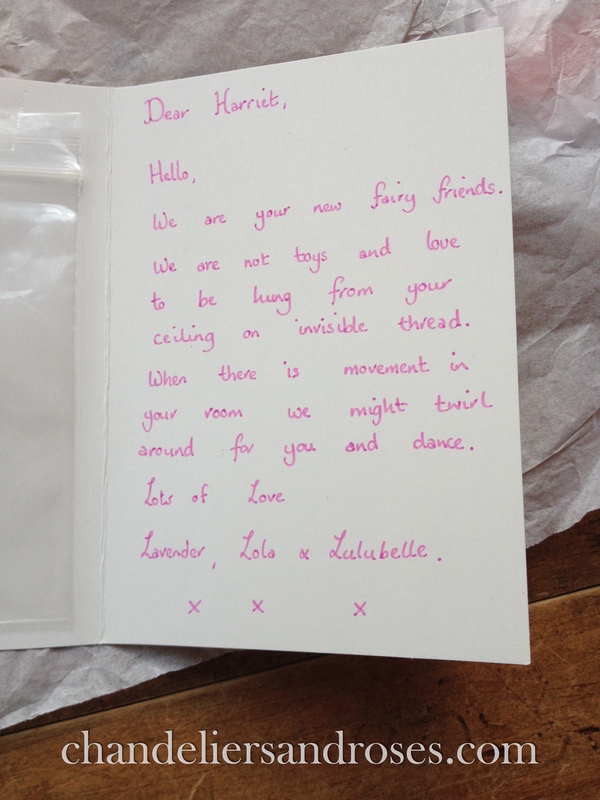 I decided upon some fairies to hang from her bedroom ceiling as firstly, they are quite magical when you hang them from invisible thread and movement within the room makes them spin around – what child wouldn’t love that. Secondly, they were perfect for her budget and thirdly, after checking the child’s room colours, I could do them to match her room. 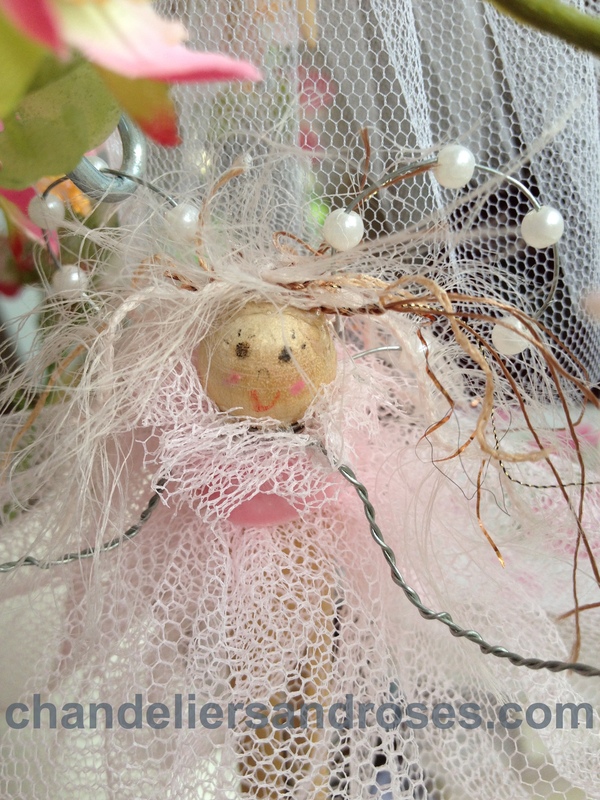 I make them from vintage style clothes pegs, netting and tulle, wire, beads and wool and each one is different. 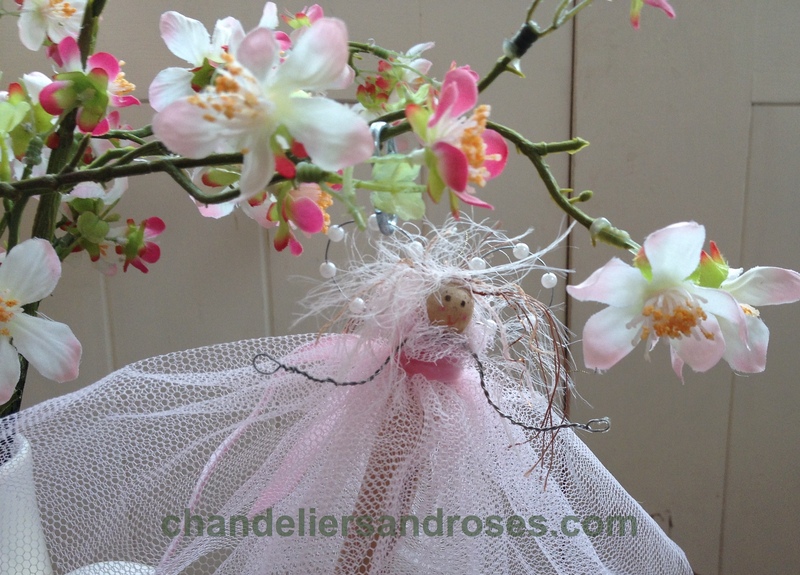 I actually did a Fairy Workshop last November where some lovely ladies came and made these. They had a really lovely time and were quite rightly proud of the fairies they made which were truly adorable. I love seeing the choices of materials my students make and the end results – every one is so different. For my lady, I chose to do one in pink and the other two in predominantly white with lilac and pink sashes. They each have beaded wings, little wire arms and sweet little faces. Sometimes, when I do an event I put them on a 5′ tree and hang all ‘my girls’ from the branches and I get lots of lovely comments as they do look a bit cute swinging about in the breeze, with all their different coloured sashes on! I wrote this little card and attached a little bag with several metres of invisible thread inside it and wrapped them all together in white tissue paper. When my customer arrived to collect them, she loved them immediately and when she saw the card her exact words were “Ohh, Ohh I can’t believe it, you should be on the TV!” I’m not entirely sure what she meant, but I know for sure it was a compliment – just magical. She so wanted to keep them for her own daughters birthday which is in a week’s time! However, she had to deliver them tomorrow morning so she asked me to make her another one – to add to the additional order she placed which was, you’ve guessed it, “make me something for my daughter’s birthday next week”! Hmmm…. Have a creative weekend and show me what you make.